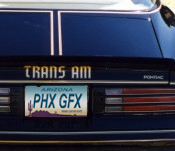 Note: This Trans Am Special Edition option added over $1100 to the base price and/or value of the vehicle. The most famous of all vehicles; it is known as the "Bandit" in the movie "Smokey & the Bandit". Its special German Style Lettering makes this kit unique. All vehicles requiring this kit are "Special Editions" (or "Limited Editions"); on 3M material; and are produced to accurate specifications. This kit will bring your vehicle to its original factory appearance. It is the most complete and best priced product in the market. 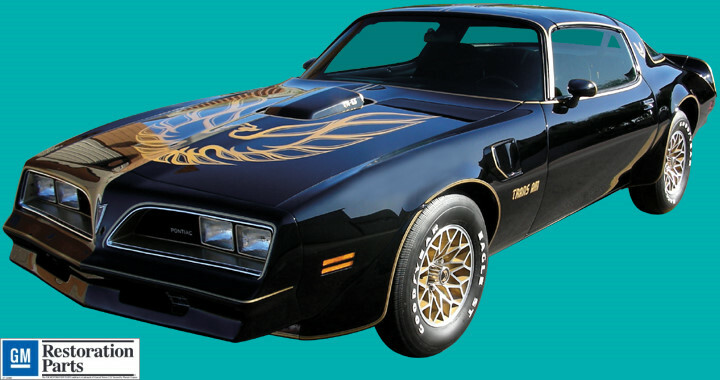 Click here for 1976 "Limited Edition" Trans Am "Ultimate Kit"
Click here for 1977-78 "Special Edition" Trans Am "Ultimate Kit"